SQA and centres running SQA qualifications have a shared responsibility for quality assuring the internally assessed elements of National Qualifications. 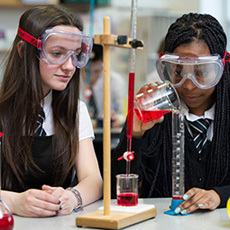 The Understanding Standards programme aims to develop understanding of the national assessment standards in each subject area. training events focused on the course assessment. The Understanding Standards resources and materials can support centres in the development of their internal verification processes. Internal verification is a supportive process designed to ensure that internal assessment is robust. Centres are responsible for their own internal verification processes. SQA has produced the Internal Verification Toolkit to support you with developing your own practice. Prior verification is a free service offered to centres that devise their own summative assessments, or that significantly change SQA’s assessments to suit their particular local needs. The service gives centres additional confidence that their proposed assessment is fit for purpose and meets national standards. Information and guidance is available on our prior verification page. External verification is the process we use to assure the quality of internal assessment, including internal verification, in centres. Event verification and visiting verification are used. Event verification involves evidence being collected from centres and verified by a team of appointees. Visiting verification involves an appointee visiting the centre and reviewing evidence there. All quality assurance activities are overseen by a subject-specific team of appointees, who are teachers and lecturers experienced in assessment. Appointees in each subject area include a Principal Verifier, a Depute Principal Verifier and Team Leaders. Principal Verifiers are responsible for overseeing all quality assurance activity for internal assessment within their subject area. They ensure that national standards are applied and maintained, and are responsible for training the team. Depute Principal Verifiers support the Principal Verifier in overseeing quality assurance activities, and will deputise for the Principal Verifier when required. Team Leaders directly support the work of verifiers and carry out quality assurance activities themselves. Verifiers carry out quality assurance activities during events and in centres.